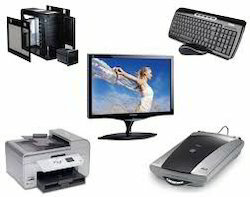 We provide the best Hardware and software installation service. Computer hardware installation and maintenance. Have you purchased a new computer recently but do not know how to configure the settings as per your system's requirements You don't have need to worry much more, because we at Techgiantindia are here to provide you with the best assistance that you need! When we first get hardware the first thing required to configure it with our existing device or to setup the newly bought device itself. We do support our customer doing setup as well as installation or re-installation of the devices it order to make it work.